East Midlands Homecare is a provider of quality home care in the community. We make a real difference to the people we support by providing assistance to enable them to lead independent lives in the comfort of their own home. Our service is available for any adult who needs some assistance in day to day living. No need is too small or too great, whether it be help with preparing a meal or assistance with the use of mobility equipment we are here to help. We are a family run business with a friendly, approachable yet very professional team. We are a member of the United Kingdom Homecare Association and recommended by Derbyshire Social Services who we work closely with. care team dedicated to supporting both physical and emotional needs. We encourage people to continue to have active social lives and participate in hobbies and interests. We actively promote independence, choice and individuality. We review our services with our clients regularly. We will listen and are happy to make changes where required. All our care workers are thoroughly vetted including a Criminal Records Bureau check. They undergo a rigorous training programme including a Diploma in Health and Social Care. East Midlands homecare is a member of the United Kingdom Homecare Association and embraces its code of practice. 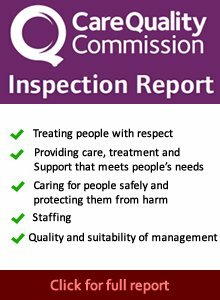 We are committed to ensuring the safety of the people who use our service and have rigorous procedures in place to achieve this. We currently cover – Long Eaton, Sawley, Shardlow, Breaston, Draycott, Borrowash, Ockbrook, Risley, Sandiacre, Stapleford, Toton, Elvaston and surrounding areas. © 2001 - 2017 emhomecare - All rights reserved.